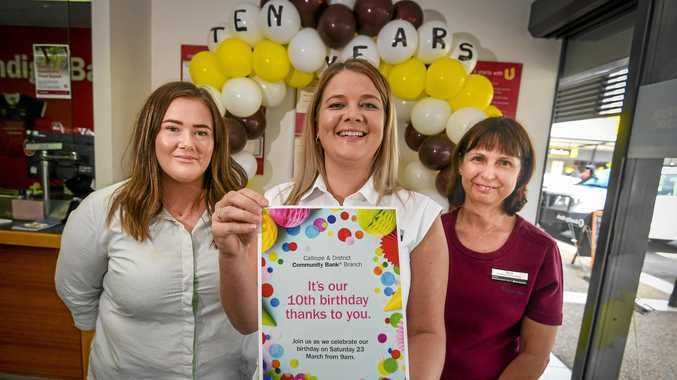 SATURDAY marks a decade since Calliope and District Community Bank Branch of Bendigo Bank was founded and celebrations are on the calender. Branch manager Jo Lumley said the milestones was a great achievement. "We're really excited and obviously we're here to stay,” Ms Lumley said. She said the branch was able to grow over time because of the community's support. "Many customers choose to bank with us because we can help with improving things in their community and it's good to be able to give back,” Ms Lumley said. "As our profitability grows so too does our ability to channel our profits into much-needed community infrastructure and services. Since it started the branch has given $1.55million to support communities across the Gladstone Region. Contributions during the 2017-18 year period totalled $353,778, with 60 per cent of this money going towards grants. Most recently the branch provided $90,000 to Calliope Kindergarten and Preschool to fix long-standing drainage issues. 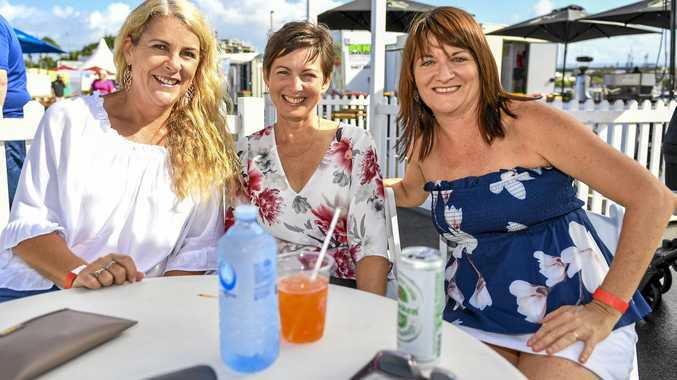 "We give money for one off events, we do scholarships, grants, sponsorships and if there's a big development like the Benaraby Driver Education Centre we can use our money to leverage off and get more grants from around the area to put towards that,” Ms Lumley said. The branch contributed $250,000 towards the Benaraby Driver Education Centre. Saturday's 10th birthday celebration will be held at the branch at 9am. It is open to the public and will feature a sausage sizzle, cake cutting and children's giveaways.